Ladies are always much conscious about their dressing and fashion, they always want something new and trendy. 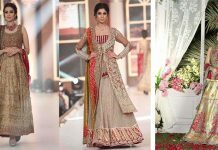 Pakistan is such country which is enriched with talented fashion designers which always remains busy to entertain their customers with their fresh and newest designs. They always produce quality fabric and fabulous designs for every event and season. Girls always keep their eyes on what is coming this season and what will be trendy this year. 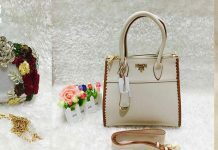 Styloplanet is here to help you gals to choose what is best for you. 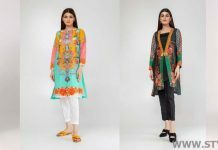 As usual, this summer the famous Pakistani brands has launched their colorful seasonal lawn collections that are enriched with fabulous prints and delicate embroidery. So here we are going to discus about Top 10 Best Pakistani Designers and Brands Summer Dresses 2017 To Wear. 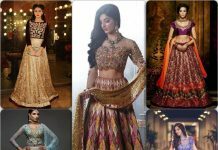 These all collections are available at their outlets and also available online. 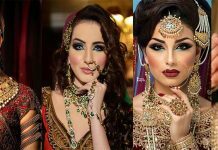 There was a time when girls usually like to wear simple dresses whether its their casual routine or any event, but this is the era of modernity and full of ethnicity. 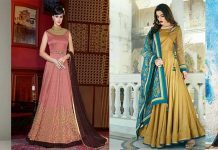 They always want such dressing which is trendy, stylish as well as they don’t want to wait any more when they have their best choice dress. So in such way, brands launch pret dresses for such girls. These collection are only limited to three piece but also have best quality two piece with matching trousers and single shirt pieces. So wait is over, lets move towards Pakistani Designers Summer Lawn Dresses. Best Amalgamation of hues presented by none other than Cross Stitch. Their Summer Lawn 2018 is rich mix of culture, color and joy. Some of their designs contains digital prints of traditional and historical culture. 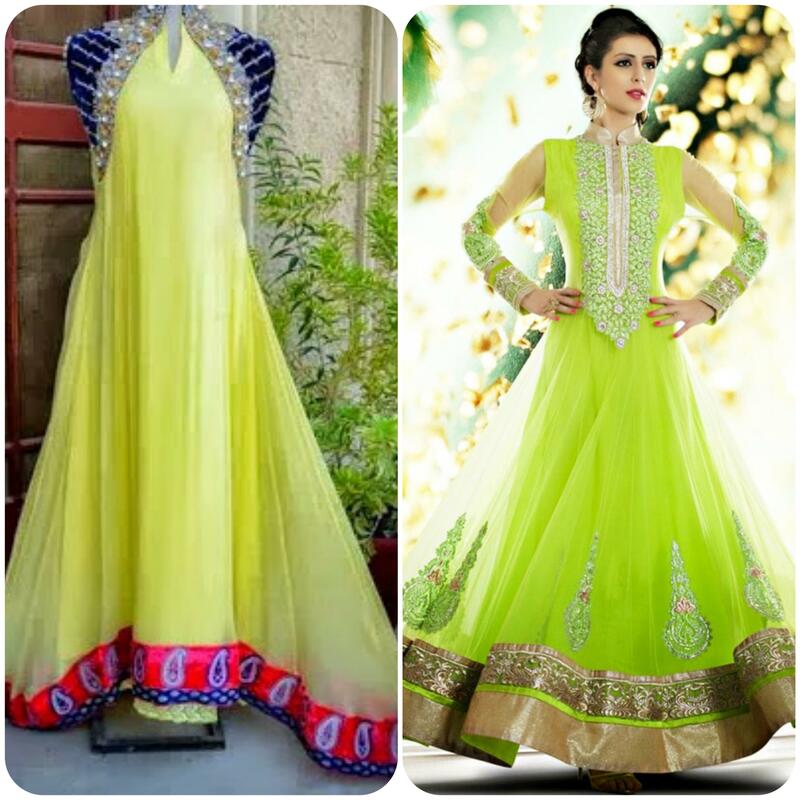 So dazzle in these super gorgeous Exclusive designs and make your season colorful. Girls get bored when they seem same fabric likewise lawn, then there is a need to refresh their mood with something different and appealing. 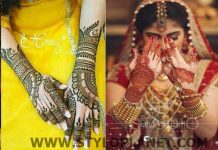 And that trick is in the hand of Sobia Nazir that how to play with colors and make beautiful ladies happy. As you know summer is not only just a season, it is full of events and gatherings. So keeping in mind they have brought semi-formal wear for divas in soft and pastel shades. Now don’t wait just go and grab to make your day more funky and memorable. Generation has fabulously produced trendy tunics with fabulous matching trousers. Generation’s Manjeet Diaries this year gained much appraisals from their clientele. Each apparel in this series full of eye-catching prints, embroidery and its latest cuts which is making this collection more flawless and amazing. Nimsay deals with the Casual wear, party and formal wear. 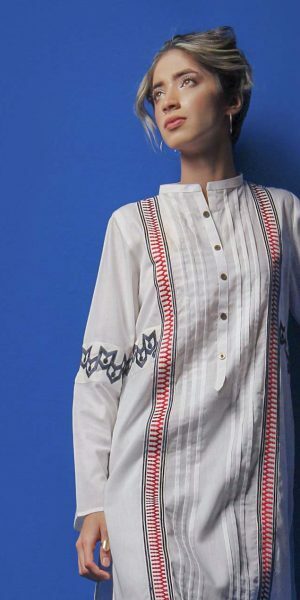 Their latest embroidered collection contains aesthetic fusion of classy colors and rich patterns. 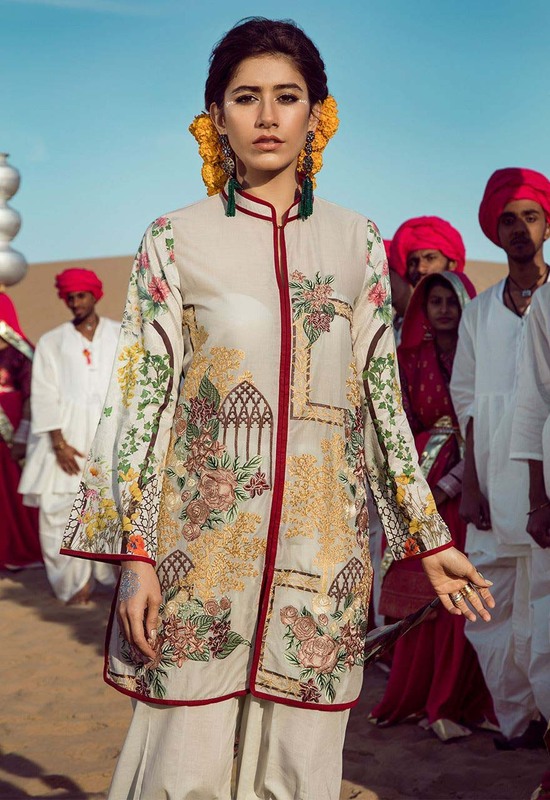 They have eye pooping shades that have neck and border designs with matching chiffon dupattas, while pret wear contains matching trousers and bottoms. This series contains wide range of classy and beautiful prints in unstitch and stitch collection. 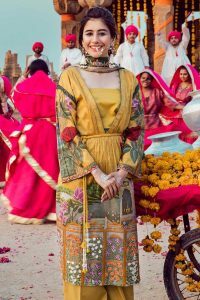 Summer blooms and accentuating designs comes in market when Nishat Linen reveals their seasonal collection as this summer they have. This stunning series consist of Tunics, Shirt Pieces, two piece and three piece. You can have bucket of lawn and mixed lawn dresses in this wide range. The use of block and graphic prints coupled with applique work making this range just amazing. You can opt these designs with trousers as well as wit pencil trousers. Fusion of striking and appealing colors are hallmark of Fridous Lawn Collection. 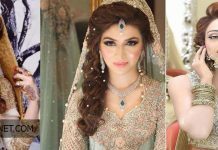 A very trendy and stylish collection has been launched by Firdous. The fabric used in this series is in finest quality which makes this label a very popular among women. Shirts with bell bottoms are the reason of attraction. Contrasting colors are the charm of these dresses. Flora as name indicated a fusion of floral and botanical pattern now available at all its retail stores. 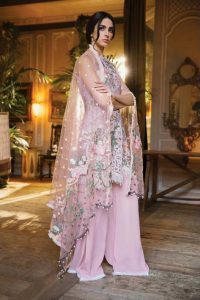 Front Open gown, black with pink embroidery and many other such stunning articles are part of this assortment. The quality of this fabric according to the customers demand. While beautiful drapes of dupattas and stunning prints on trousers are making this assortment just breathtaking. When it comes to Ready To wear dresses Sapphire is the name that takes first place in our mind. 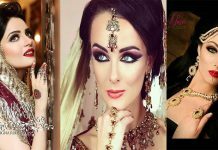 They have made this summer series alluring enriched with dazzling colors and fine adornment. The cutting and stitching style worth a thousand appraisal. Farah Talib Aziz (FTA) lawn’s collection exotic as well as dazzling. Fine embellishment is done on each piece of outfit. Each design of this assortment reflects botanical landscape which is now the fashion of summers as well winters clothing. You can opt this collection for your party time as well as your seasonal wear. Bell bottoms and Trousers with laces and intricate embellishment made this range to rock this season. It is very easy to lose direction if you are focused enough on the customers choice. Ego is such brand which don’t infuse their such perceptions on their customers. Ego clothing is always remains full of rich colors and designs. Here are the shirts and trousers in monochromatic hues with decent embroidery. Intricated embroidered shirts are genering much positive response due to their unique work. 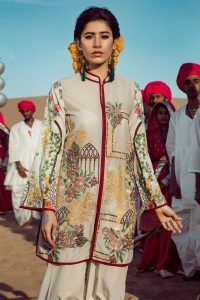 This summer the famous Pakistani brands has launched their colorful seasonal lawn collections that are enriched with fabulous prints and delicate embroidery. All assortments contains stunning prints and latest cuts.